When you are thinking of painting the interior of your home, it is common to consider doing this job yourself. But if you want the inside of your home to look its best, it is recommended that you hire professionals for your Chandler, AZ interior painting services. 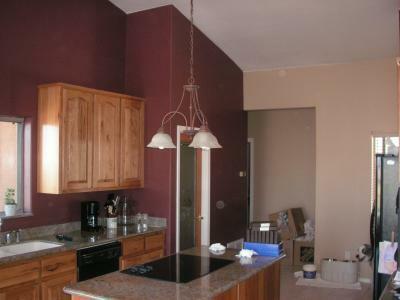 Our company has been in business for years and we offer the best Chandler, AZ interior painting services in the area. Painting the interior of your home is a messy, tough, and time consuming job; especially if you are not properly trained. However, you don’t have to panic, simply sit back, relax, and let us take care of all the hard work for you. When you are ready to paint your home, call us to find out about our Chandler, AZ interior painting services. We have built a reputation for quality workmanship, reliable painters, and friendly customer service. In addition, not only will we save you time and money, we can also help bring your vision for your house to life. Your dream home is just a phone call away.